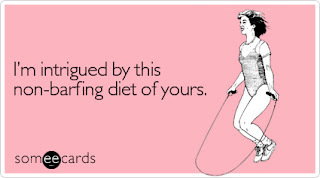 I'm not a huge fan of e-cards but this site had be laughing out loud at my computer screen. Next time you want to send a singing cartoon lion e-card go to Some Ecards instead. I got one of these cards today for my 61st Birthday and I have to say I laughed out loud at my desk. These cards are the best.